purfiltrum™ is a unique macro-porous synthetic polymer that removes soluble and insoluble organic impurities from water 5 to 10 times faster and more completely than all other competing products. 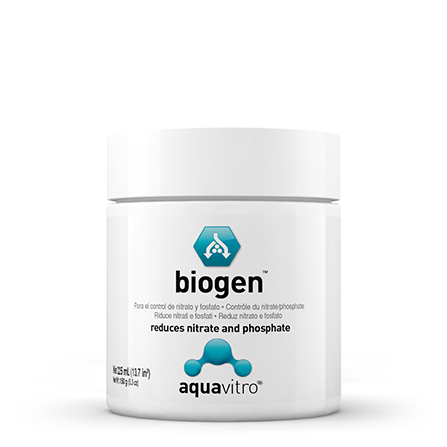 It is the highest capacity organic filtration resin on the market outperforming even Seachem Purigen®, binding 10 to 15% more organic material. 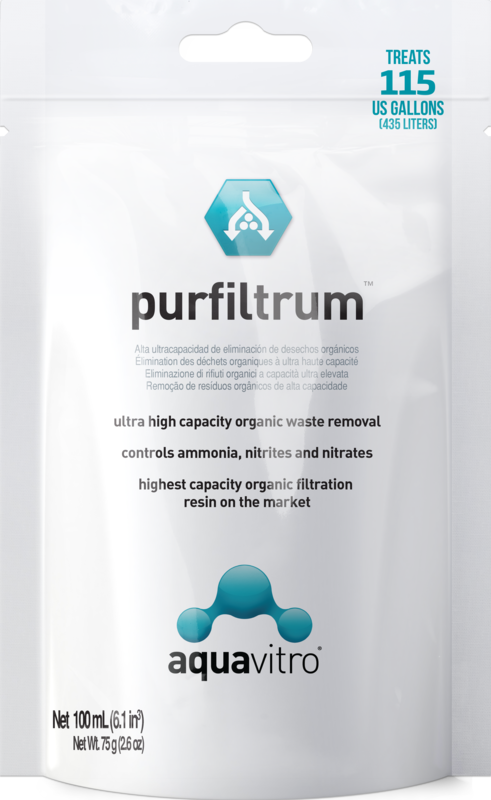 purfiltrum™ controls ammonia, nitrites and nitrates by removing nitrogenous organic waste that would otherwise be converted into these harmful chemicals. purfiltrum™ will not reduce the levels of trace elements, and it significantly raises redox. It polishes water to unparalleled clarity. 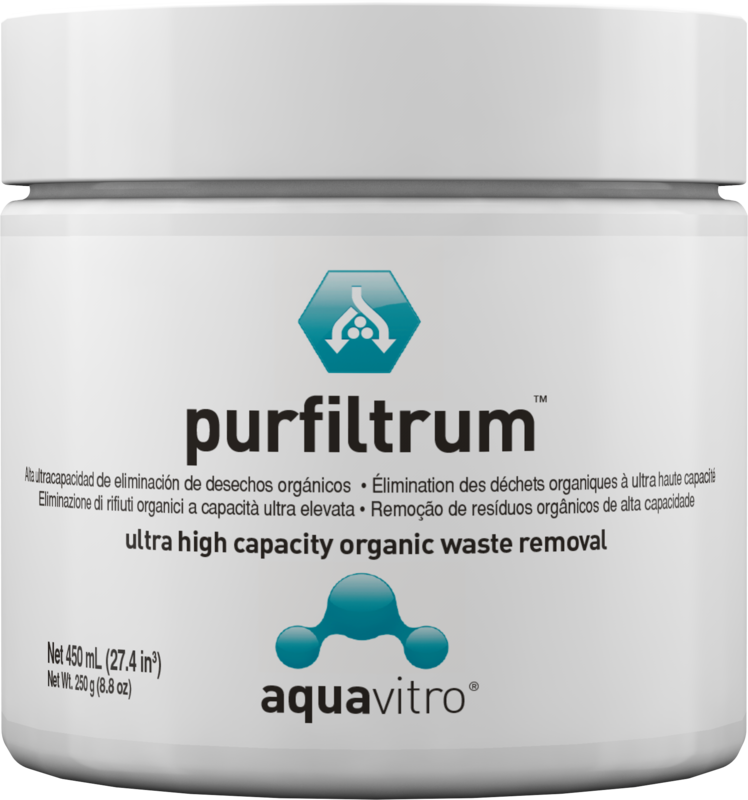 purfiltrum™ progressively darkens as it removes impurities, and is easily renewed by treating with bleach per recommended regeneration instructions. 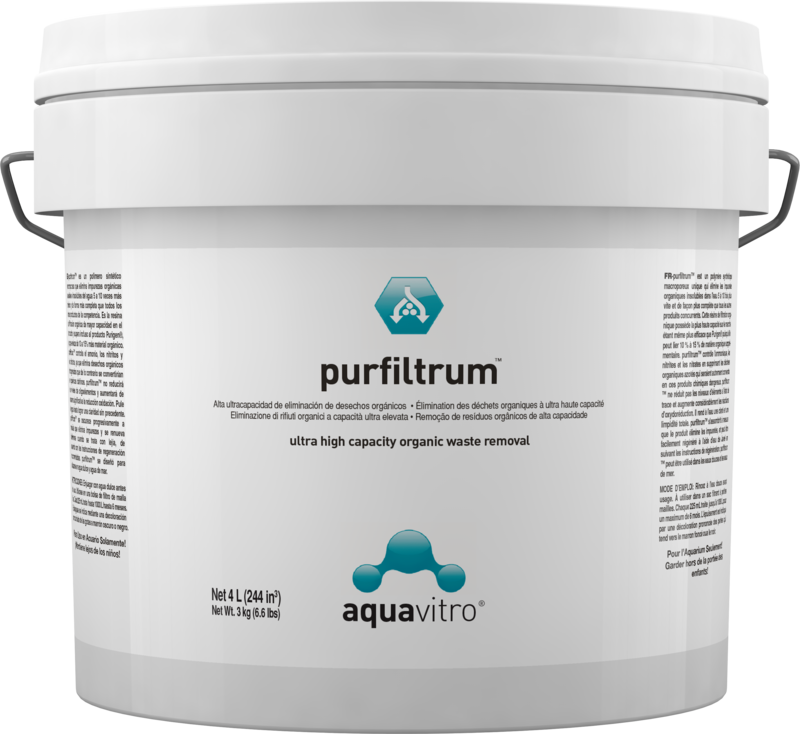 purfiltrum™ is designed for both marine and freshwater use. Rinse before use. Use in a fine mesh filter bag such as Seachem's The Bag™. Each 225 mL treats up to 1,000 L (250 US gallons) for up to six months. Exhaustion is indicated by a pronounced discoloration of the beads to dark brown or black. 1: When is purfiltrum™ exhausted and how do I regenerate it? A: purfiltrum™ will turn from its normal color to a deep brown when it is exhausted. Soak in a 1:1 bleach:water solution for 24 hours in a non-metallic container in a well ventilated area and away from children. Use regular 8.25% hypochlorite household bleach (non-scented, no dyes, do not use a splash-less bleach). Rinse well, then soak for 8 hours with a solution containing 4 tablespoons of Prime® or 16 grams of Safe™ per cup of water. Rinse well. For freshwater use, soak for 4 hours with a solution containing 2 tablespoon of buffer per cup of water (Seachem Discus Buffer®, Neutral Regulator®). 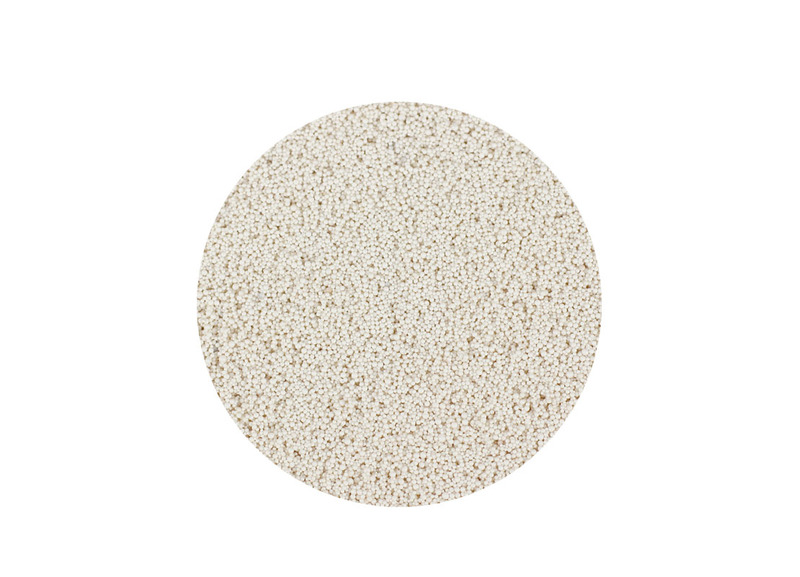 Original color and full activity should now be restored and purfiltrum™ is ready for reuse. Caution: some slime coat products may permanently foul purfiltrum™ and render regeneration difficult. Do not reuse if odor of bleach/chlorine is detectable. 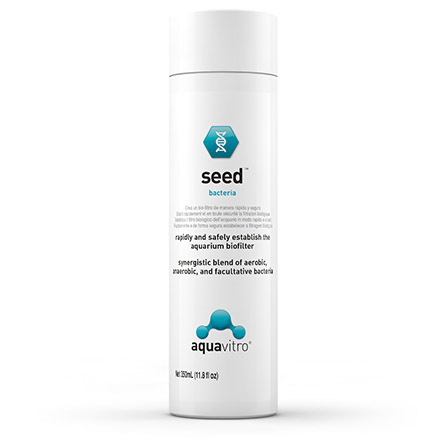 In case of doubt, soak beads in small quantity of water and test for residual chlorine with a chlorine test kit. 2: I’m using purfiltrum™ but my nitrate is still high. What’s going wrong? 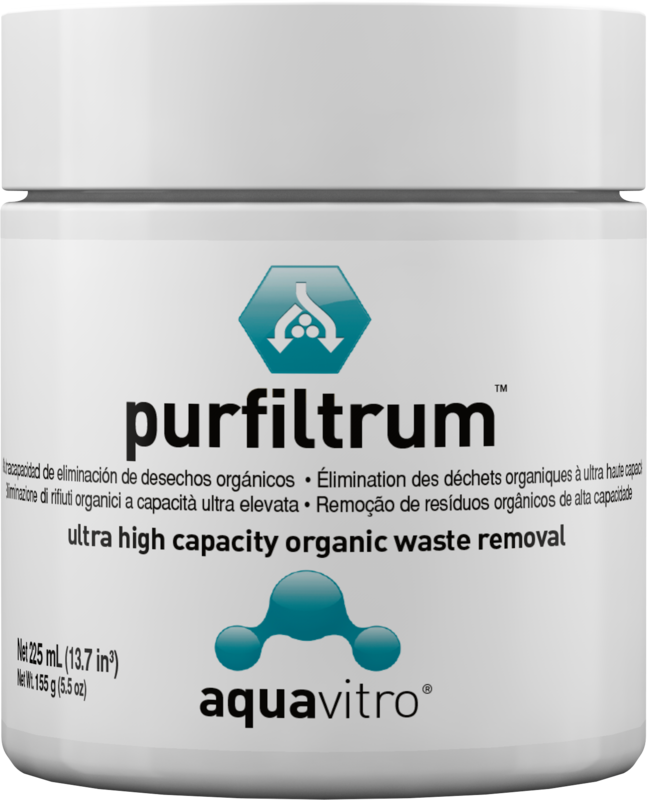 A: purfiltrum™ will remove organics before they can be converted by bacteria into ammonia, nitrite or nitrate, resulting in lowered nitrate concentrations over time, but it will not directly remove these chemicals from the water. 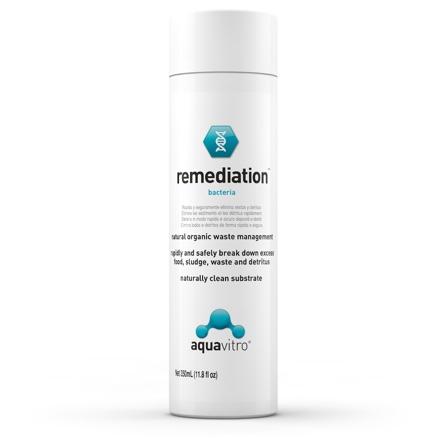 If your nitrate is high, we would recommend carrying out a partial water change and utilizing Matrix or de*nitrate biomedia to house anaerobic denitrifying bacteria that will remove nitrate from your water. 3: I just opened my purfiltrum™ and it smells bad. Is there something wrong with it? 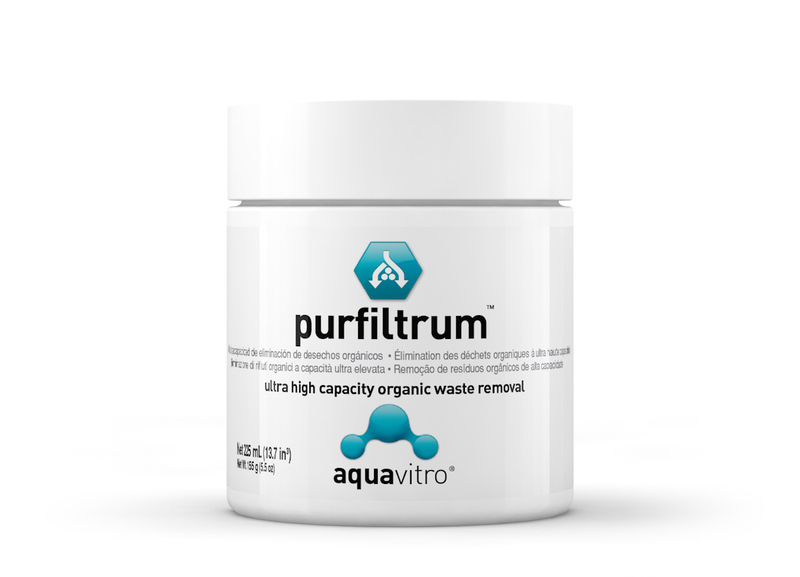 A: Sometimes, new containers of purfiltrum™ with have a “fishy” or “rotten egg” smell. 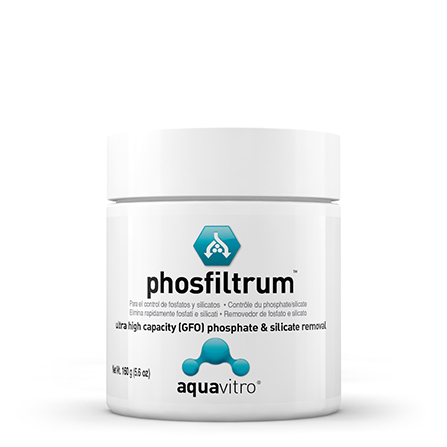 This is nothing to worry about – it is not harmful to the tank and the smell does not persist once the purfiltrum™ has been rinsed and added to the filter. 4: Can I use purfiltrum™ in a media reactor? A: This is possible, but may take some careful adjustments of the flow rate to find the right amount of tumble. purfiltrum™ is a very light and small media, so it is very easy to eject it from a media reactor if the flow rate is too high. We recommend slowing the flow rate in the reactor to the point that only the top layer of purfiltrum™ is moving. 5: Some beads of purfiltrum™ have made their way into my main tank. Do I need to be concerned? A: purfiltrum™ beads will not harm fish, plants, or corals, but they also will not break down over time, so we generally recommend removing them from your main tank if possible. The beads are very light, so it is usually easy to siphon them up during a water change. 6: I have read it says that some slime coat products can contaminate purfiltrum™ and render it toxic. Can you identify these products? A: Only certain slime coat products will cause purfiltrum™ to become toxic; the products that do this are amine based. alpha and premier are not amine based and so will not cause this problem. Like wise, Seachem Prime® and Safe™ are safe to use with purfiltrum™ If you're curious, what happens is that the amine compounds can strongly bind to the resin, then when they (the amines) come into contact with any chlorine they will form chloramines which are highly toxic.